English-speaking audiences were likely enticed by the general premise for Guardians Of The Galaxy, as explained in its initial trailers. But in Japan, where the film has not yet opened, advertisers are understandably going for a more visual approach. 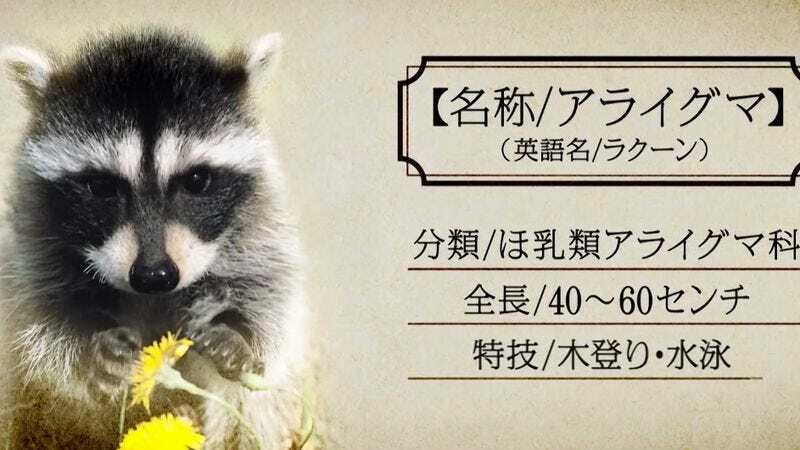 Stock images of raccoons and plants precede action-packed shots featuring Rocket and Groot, whose novelty as characters doesn’t require language. In a third promo, stock photos of men falling down and spilling things help relay the message that these characters are just a semi-animated, ragtag group of almost-heroes. Pair all of this with an overly enthusiastic Japanese man narrating, and it probably could have worked just as well in the States.